They added StartTV too - a bunch of 90s shows like Dr. Quinn Medicine Woman. And Freesat receivers are of the few that can get these channels since the broadcast is a strange setup - I'm guessing they have bad amps and the transponder is made to look like several individual transponders (I'm guessing the station receivers across the country can't handle MPTS so they found a way to have multiple SPTS on a transponder, but most receivers hate these channels. Yay for Freesat. Freesat GtMedia nova v8 Orange / Antena 4 metros / Satelites 40w al 135w. WantFreesatV7 wrote: They added StartTV too - a bunch of 90s shows like Dr. Quinn Medicine Woman. And Freesat receivers are of the few that can get these channels since the broadcast is a strange setup - I'm guessing they have bad amps and the transponder is made to look like several individual transponders (I'm guessing the station receivers across the country can't handle MPTS so they found a way to have multiple SPTS on a transponder, but most receivers hate these channels. Yay for Freesat. I agree, the V7S will lock these channels when they fluctuate on other receivers, which you can even seen the signal and quality levels jump up and down. You'd think they could get them fixed, or that other receivers could get firmware upgrades to make them work. This channel issue has been going off and on for several years now. My favorite sats are: 87w, 97w, and 99w. 101w is also good. I am using a Titanium Satellite C1W-Pll Wide band PLL C-Band LNBF, I get 3953v, 3957v, 3961, 3975v transponders all have a SR & FEC 2734-5/6 with no problem. Just can't lock on and get Start TV. I have the same lnbf on my 10 foot dish and get 95%S and 85%Q on V8 super and V8 nova with these transponders. Sorry I don't own a V7 but would imagine similar results. I get it fine. 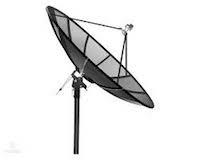 Instead of blind scanning, try adding the channel manually then giving the dish a little pull and push to see if you can get it. If so, the dish is slightly misaligned. i have issues with my c1-pll lnb too. might switch back to my old chaparall it got much better signal. bubbs16 wrote: i have issues with my c1-pll lnb too. might switch back to my old chaparall it got much better signal. I'm surprised that is the case. The C1-PLL needs to be accurately aligned. You need to make sure it's pointing at the center of the dish, make sure the skew is correct and make sure it's at the right distance from the dish surface. It's tricky but in my experience it should give you a better signal level. The older LNB is probably screwed down in exactly the correct position. I bet your C1-PLL problems are due to it not being in the right place. Take a TV out to the dish, finder a weaker channel and try to peak it. Just because I've found the C1-PLL to be more sensitive and more stable, thanks to the PLL it seems to be able to lock weaker signals. But could just be a difference in my set up. Anyone ever find out how many PowerVu channels are on C Band for N. America? Need2learn wrote: Anyone ever find out how many PowerVu channels are on C Band for N. America? Is it possible to get aggregated guide data from all these birds? Perhaps using something like Plex's live tv provided by Gracenote? kmem wrote: Is it possible to get aggregated guide data from all these birds? Perhaps using something like Plex's live tv provided by Gracenote? No, but you can make an account with TitanTv, and set up your own personal guide for all the channels you can get, that they have info for. It takes a bit of time, but then you'll be able to bring up a personalized grid guide on your pc to check what's on at any particular time.